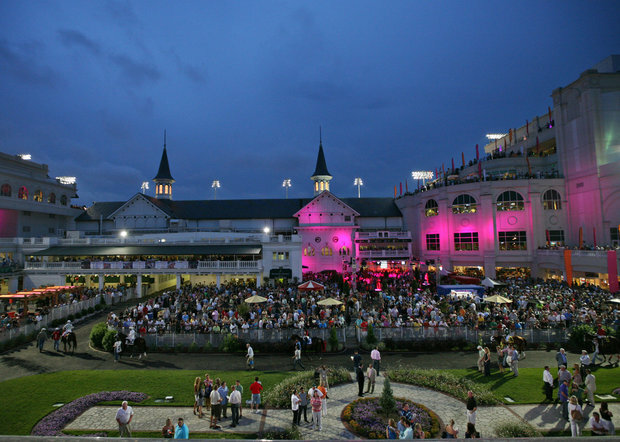 Night racing returns to Churchill Downs on Saturday, June 15, boasting the first North American Breeders’ Cup Challenge race of the year, the $500,000 Stephen Foster Handicap (G1). The Breeders’ Cup Challenge is a series of 67 qualifying races across the globe. The Breeders’ Cup pays entry fees for the connections of the Challenge winners if they are nominated to the Breeders’ Cup program by October 21st. All Championships starters that are not based in California will receive travel awards of $10,000 (US) if traveling within North America or $40,000 (US) if traveling from outside of North America. Last year, 45 winners of Breeders’ Cup Challenge races participated in the World Championships. With a purse of $5 Million, the Breeders’ Cup Classic is easily North America’s wealthiest race. It is for 3-year-olds and up going a distance of 1 1/4 miles or 10 furlongs. The 3-year-old challengers typically fair well in the Triple Crown races as well as the Haskell Invitational or Travers Stakes. The older horses come out of handicaps such as the Stephen Foster, Whitney Invitational, Pacific Classic, Awesome Again Stakes, or Jockey Club Gold Cup. Three-year-olds have won this race only nine out of 29 times, and only twice in the last 12 years. 11 of the 29 Classic winners have gone on to become the Eclipse Award Champion Horse of the Year, the highest honor of any North American thoroughbred. Ten out of 29 times the winner has gone on to receive Eclipse Award honors for Champion Older Male, so the race has some serious indications for Horse of the Year, and is always a great race for bettors with the field is stacked with talent as so many connections want a piece of that $5 Million purse.